Writing Notes: Count Dracula or Elizabeth Bathory? Writing about Count Dracula is one thing writers seem to love to do, if they are interested in the horror genre. They have proven this point by publishing hundreds of books on the subject. There is also one other person who deserves equal ink space on bookshelves-- Elizabeth Bathory. I'd love to see a debate about these two people one day. Both are infamous for the means in which they killed people. Interestingly, there are countless books published on vampires because of Dracula. Horror lovers and most people love a good blood bath, and in Elizabeth Bathory's case, I mean this literally. She was one of the world's first female serial killers, and that is a lot given the time in which she was alive. According to the writings at the time it was said she had a hand in the murder of over 600 young women. Vlad Tepes was much the same way, except that as a warlord, he had the muscle to do so. As a man, he was also expected to provide the leadership to the princedom he lead. He killed his enemies and pushed back against both allies and his people. I also believe that there was a family trait for violence as both "the blood countess" and Vlad Tepes, both had violent and rather cruel upbringings and both would be used as pawns in the grand scheme of the world they lived. (Tepes for his part, was given the name Dracul because of his being a part of the order of the dragon.) This has lead to some very interesting books. I've read Dracula and now have re-read another vampire novel, written as a "sequel". 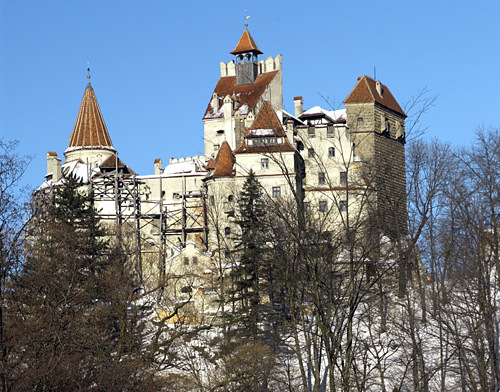 Publishing a book on Transylvania does not mean money. Even if it is about Dracula. Since I have re-read the book, Dracula: The Un-dead, I have been wondering about the concept that Dacre Stoker used for the blood countess, Elizabeth Bathory. She is the other vampire in this book, and she has no fears about hurting other people, or toying with their minds. I almost have some sympathy for one Count Dracula-- he found love, and it changed him. This is because Elizabeth Bathory works well as an evil vampire, as she was a foe to everyone and a friend to none even in her own lifetime. It also made me wonder how much work Stoker and Ian Holt planned to have used his great-grand uncle's work to build on their writing. Publishing a book on Dracula is one thing, but when you are re-writing a legendary character, it should be expected that people won't get as much out of it. It should also be expected that the family name would mean very high expectations. If this is the case, why should you worry about the fact that both Dracula and Bathory are vampires in the two novels? It's a bit of "historical edits." Again, there is nothing wrong with that, as it is a novel that is being given a "sequel." It's the same as the original Stoker using some geographical license in the original novel. Is this too much pop culture without a good reference to Transylvania? I don't believe so, in a way having a different villain is a good idea. Using a person who shocked the people of Hungary at the time of her trial makes for a good read. Using a man who made the culture of vampires is also a smart marketing idea. North Americans love the concept. This also means that in this book if the choice was between Count Dracula and Elizabeth Bathory the reader will most likely hope for a some what good outcome for Count Dracula.